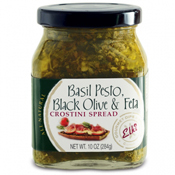 A pesto with endless possibilities! 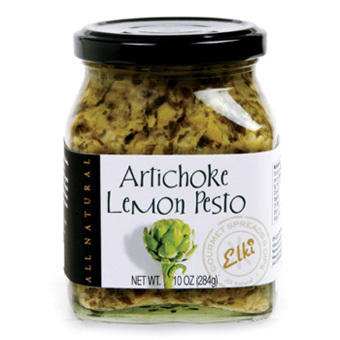 Elki's Artichoke Lemon Pesto is a Mediterranean-inspired blend of mellow artichokes, the bright, tangy flavor of lemon juice, fresh garlic and Asiago cheese. 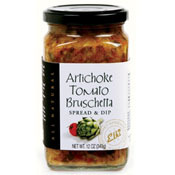 It is an excellent pairing for pastas, baked chicken, and broiled fish. Spread on a toasted baguette or crisp cracker. Add a jar to 12 ounces of whipped cream cheese for a fabulous full-flavored dip! Great dip idea: Mix one jar of Artichoke Lemon Pesto with two 6 ounce containers of whipped cream cheese. 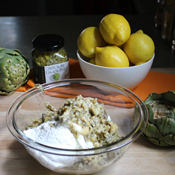 Let flavors meld for 30 minutes. 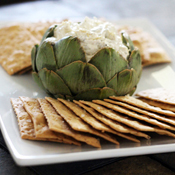 Serve as a spread for crackers or crostini. As a young girl, Elizabeth Lie, founder and owner of Elki Gourmet, had a passion for great food. Little did she know that her passion for the food world would be fulfilled by a company her father, Gunnar, started "unintentionally" in 1984. Her father was already the head of Norpro, a successful kitchenware business. He had no intention of starting another business until a couple of people from Scandinavia asked that he help them sell their homemade preserves from Denmark -a product under the label Scandinavian Delights. After declining a couple of times, he agreed to take the preserves to a gourmet products trade show. Little did he know, the preserves would sell so well and create a following. The company of Elki was born!